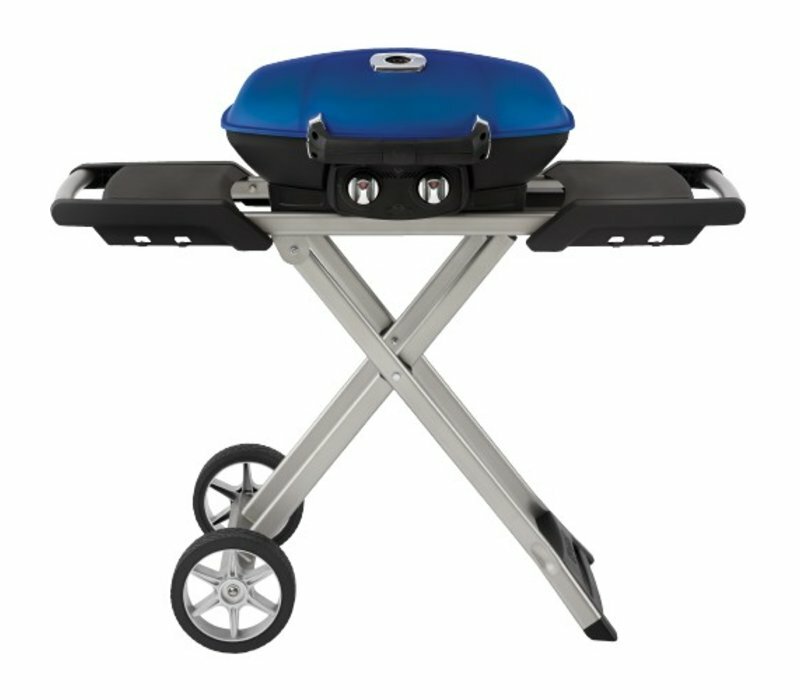 Winner of two prestigious awards, the 2014 Vesta in the gas barbecue division, and the award for Top Ten Best Value Grill from AmazingRibs.com, the Napoleon TravelQ™ 285X Portable Propane Gas Grill With Scissor Cart is a grill that can’t be beat. 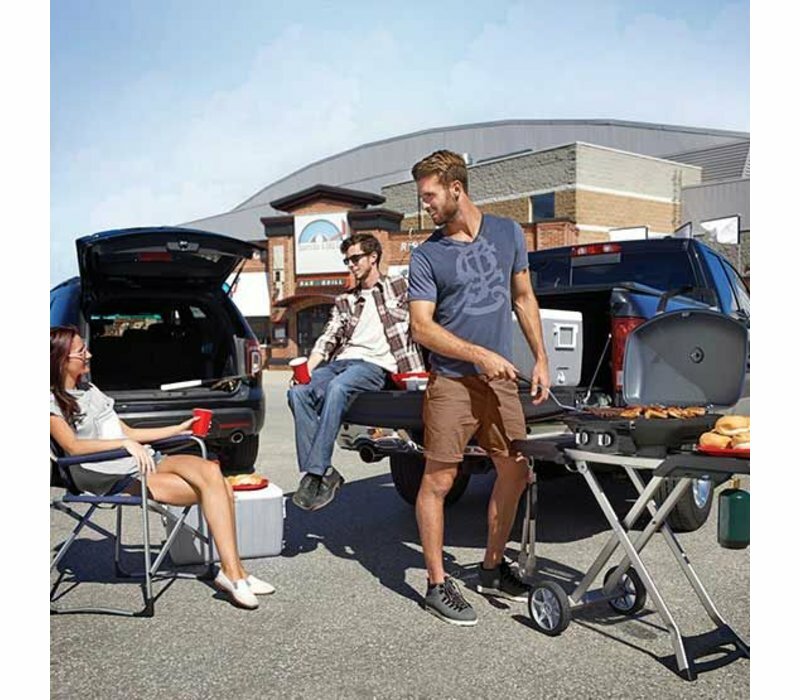 Leading the way with innovation and quality, Napoleon’s TravelQ™ 285X has everything you need for perfect portable grilling anywhere. 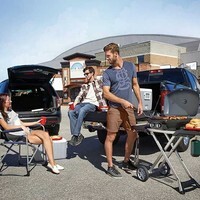 Featuring all-terrain wheels, easy folding, setup, and compact storage, this grill is perfect for any adventure. Two burners provide precise heat for indirect grilling and smoking, or high heat searing. You’ll know it’s a Napoleon with the iconic WAVE™ cooking grids for those distinctive sear marks. The porcelainized cast iron cooking grids season up just like a cast iron frying pan. 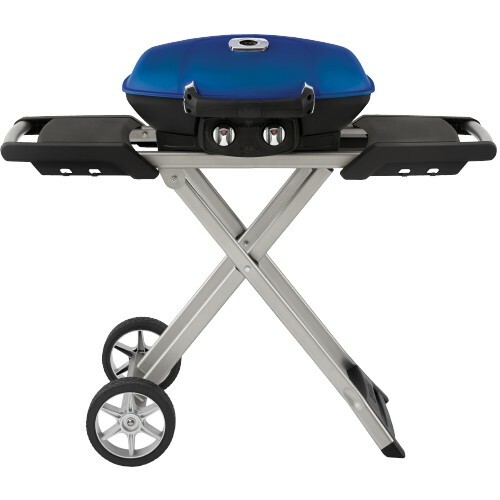 The windproof lid design keeps this grill lit on breezy days. Go anywhere by hooking up a 1.2 lb. propane cylinder, or stay put with a full-sized tank. The TravelQ™ 285X has everything you need for successful grilling on the go.